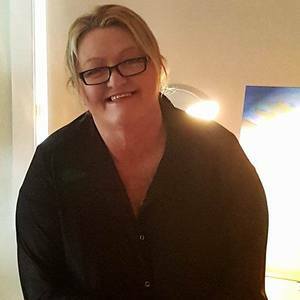 My Art journey started in senior year at High School where I found that I had some artistic talent so I then furthered my education at the Institute of Technology at Tuncurry Campus in Australia where I completed a course in fine Art. At this point in my life I painted only for my own pleasure and was really trying to find myself as an Artist. Employment unfortunately took me in another direction and I didn’t start painting again until around ten years ago. Now I have the time I need with no distractions to explore the love of my life. (Painting) I get my Inspiration from this beautiful country I live in and its magnificent coastline and country side. I love to travel and take photos of the Australian coast and inhale its beauty, then return to my studio and paint. I also paint from Imagination, I like to throw colour onto my canvas and move in whatever direction it takes me. I paint in oils as I love the depth of colour you can get and also like to mix medium such as acrylic and spray paint when creating an abstract. I mostly use brushes and palette knife when working and I love to explore with different mediums as the possibilities are endless. If you have any Interest in my work or have a question regarding my paintings, please don’t hesitate in contacting me.